I love the idea of turning simple and seemingly useless objects into fun educational resources or toys. It shows kids the importance of innovating, being creative and valuing what’s around them. Take a look at all of the fantastic activities I have created and found using mainly popsicle sticks! 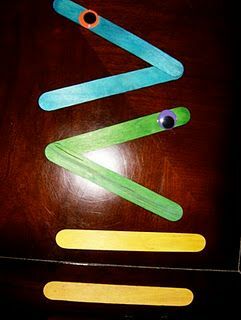 If you’ve got a stash of popsicle sticks lying around or you’re looking for a fun and creative lesson idea, keep reading! 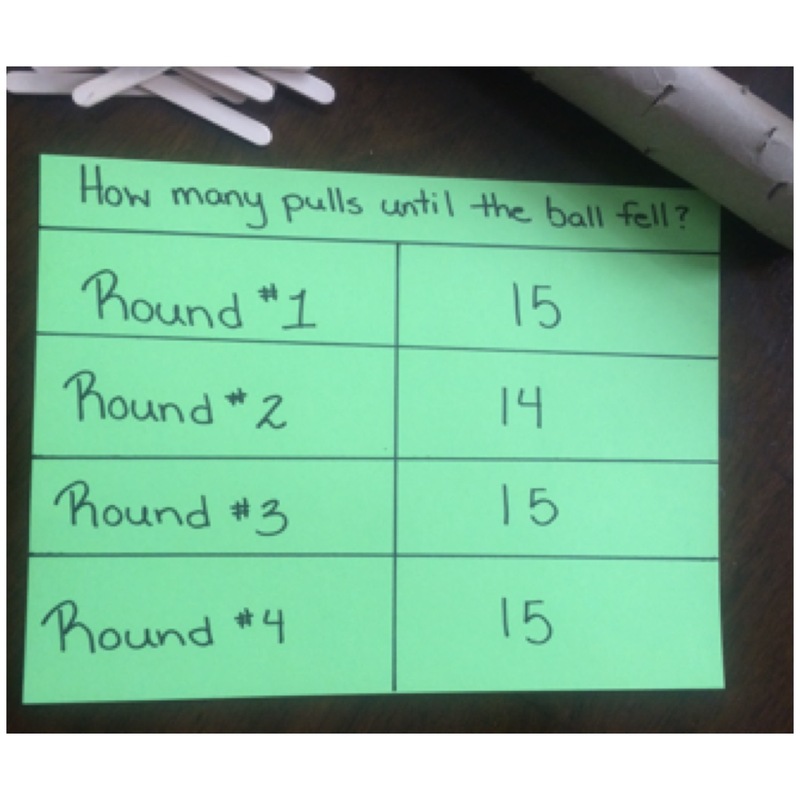 This is such a fun probability game, and it’s super easy to create! All you need are popsicle sticks, a paper towel roll, scissors and a marble (or small ball of playdough). See the pictures and captions below for more instructions. Using scissors, cut slits into the paper towel roll on opposite sides. Slide the popsicle sticks through each opposing opening. 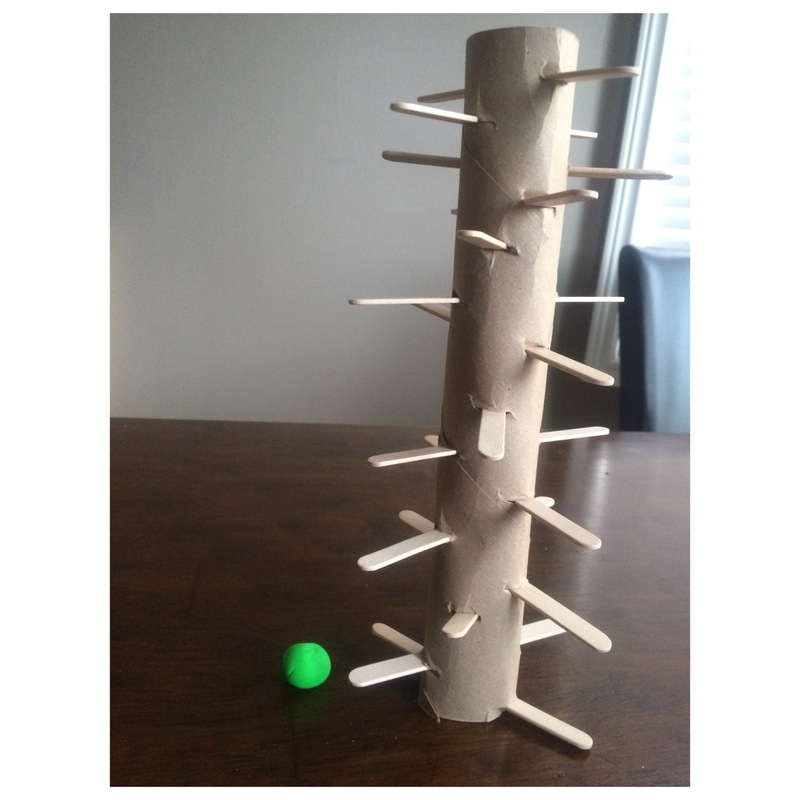 Once all of the popsicle sticks are in place, put a small ball in at either end of the paper towel roll. Kids then take turns pulling popsicle sticks. Whoever causes the ball to fall out of the opposite end “loses” the game. 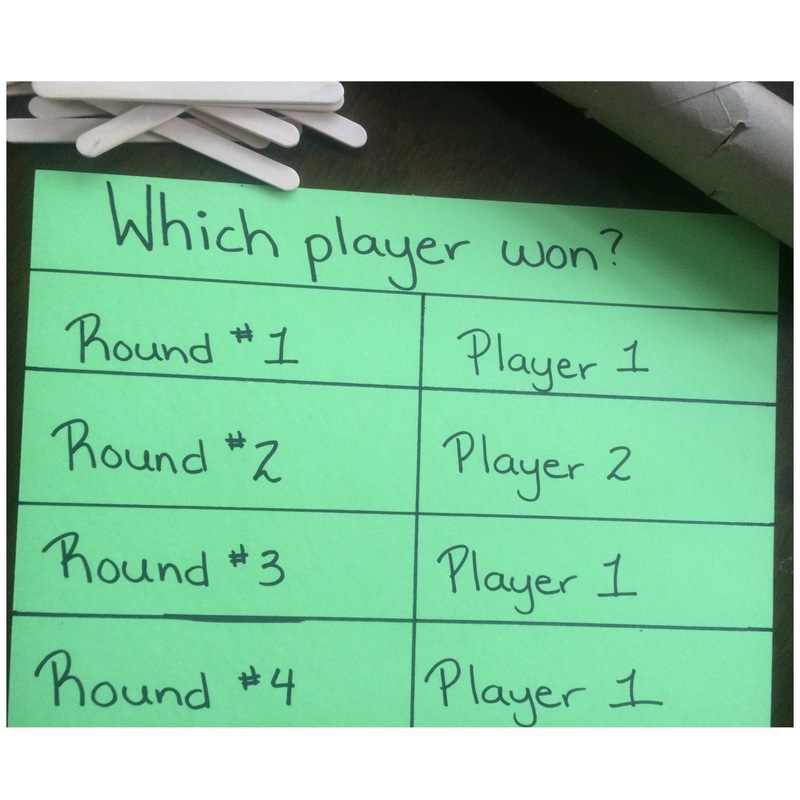 As the kids are playing, have them record the outcome of a certain aspect of the game, allowing them to answer questions about the game’s probability. We made this story retell spinner to help us recap important elements of the stories we read. Crossing two (or three) popsicle sticks on top of each other makes for the perfect spinner! 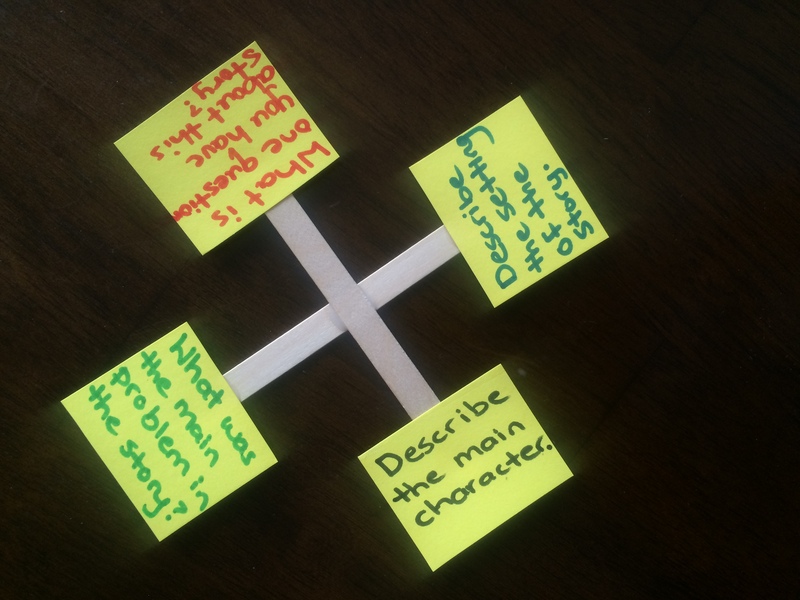 Stick labels on all the stick ends to create a fun and customizable story retell spinner. This works perfectly for centers (when you have groups of 4), since each student gets one element to recap. 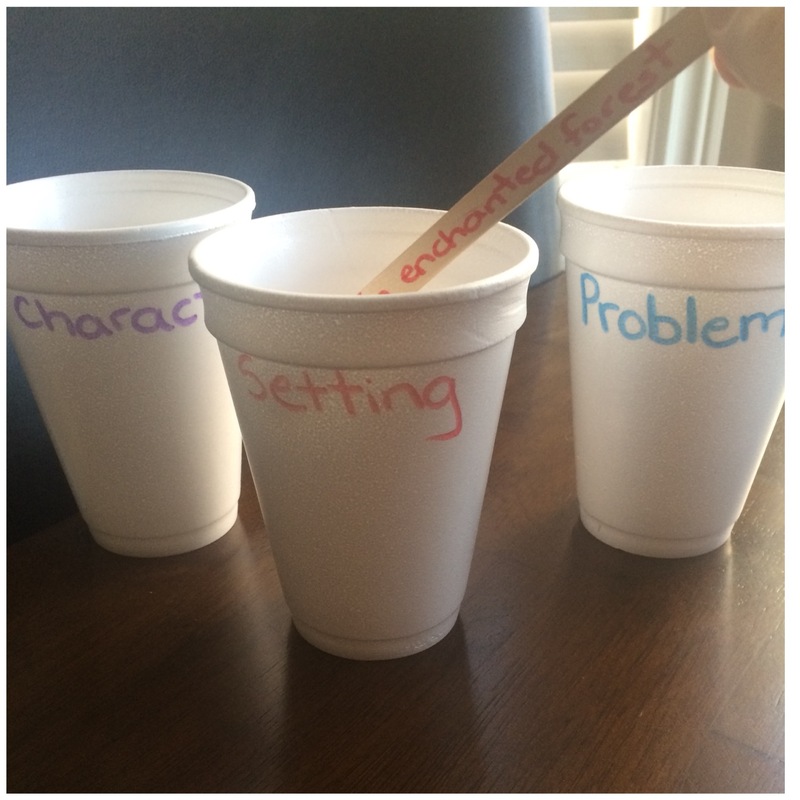 Alternatively, skip storying retelling and put any label for any subject you like on the ends. It’s great because it’s so versatile! 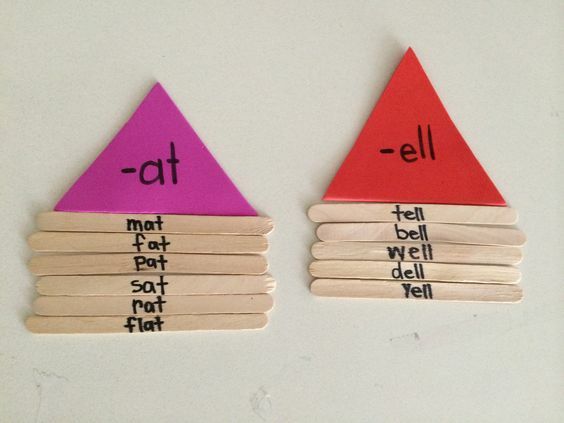 Using popsicle sticks as writing prompts is a great way to help get creative juices flowing in the classroom. Students can decide whether or not to choose a prompt for all categories, or just one or two. 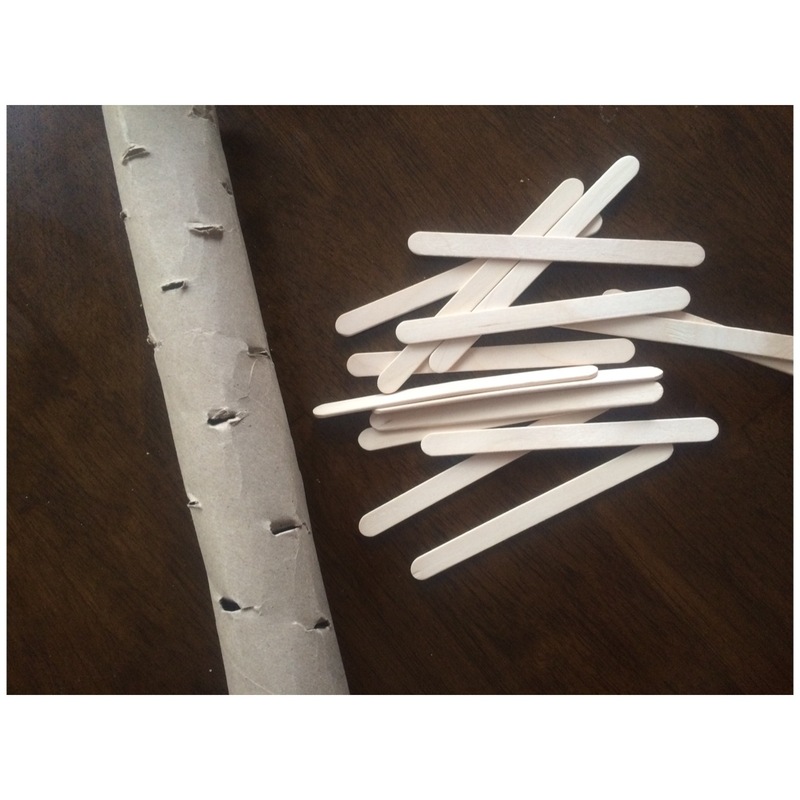 These popsicle stick prompts would also work great for early finishers who need ideas on how to spend their time wisely. 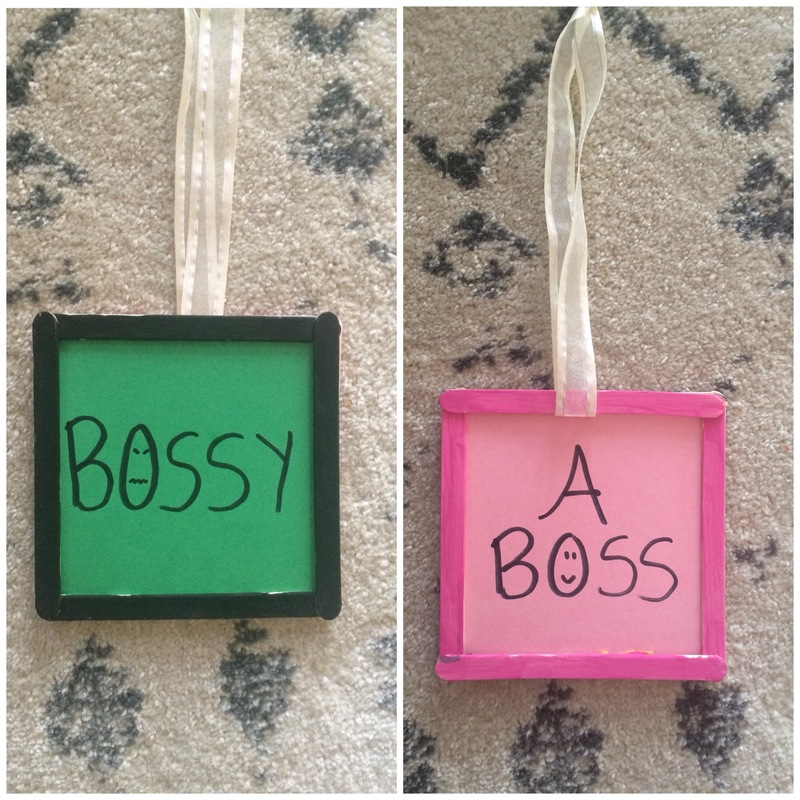 A double sided affirmation frame, which is meant to boost confidence. On the one side kids write down something that someone has made them feel bad about, and on the other side they spin it into something positive. This would work best with older kids. For younger kids they can simply writing something they love about themselves. Popsicle sticks make the perfect frames! I love the idea of gluing 4 popsicle sticks together and making frames as a holiday gift, drawing self portraits or even for self-esteem boosting activities like the one above! Have kids paint or decorate their sticks for some more pizzazz. Check out these amazing ideas I’ve seen floating around, that you need to try! 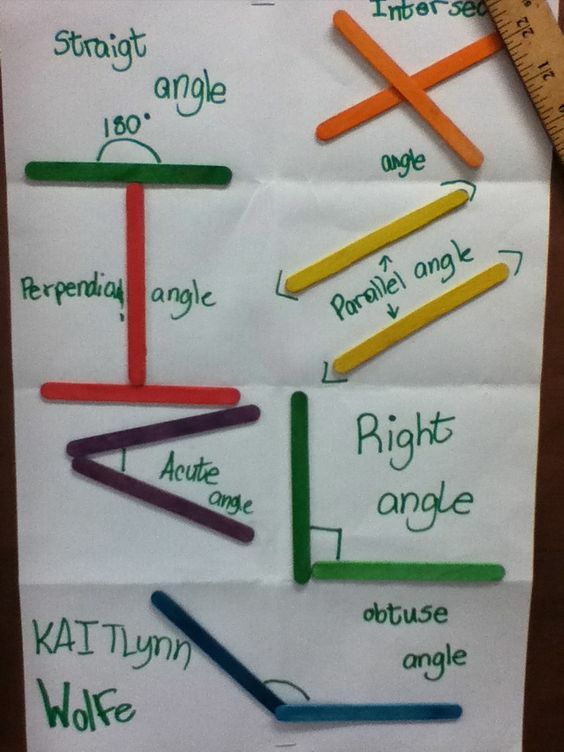 Works great as a cheat sheet on desks, or as a class poster. Seen on Pinterest. 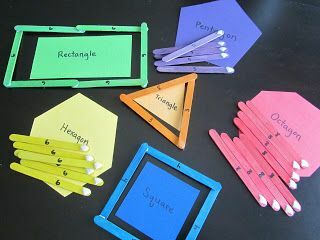 These are so great for math centers or working one on one with kids. The numbers and color coordination help to aid students along when building their shapes. (Taken from Pinning with Purpose). Which popsicle stick idea is your favorite?